Suitable for use in the service of potable water booster and filtered effluent, Goulds submersible sewage pumps are distributed locally by Brown Brothers Engineers Australia. These multi-stage, bottom-inlet, high head submersible sewage pumps feature corrosion resistant, non-toxic and non-leaching casings, with an FDA compliant, glass filled Noryl impeller. These impellers are also corrosion and abrasion resistant. Mechanical seals supplied on these pumps are comprised of silicon carbide sealing faces, with all metal components manufactured from AISI type 300 stainless steel. Shafts, suction strainers and motor shells are produced from AISI type 304 series stainless steel. 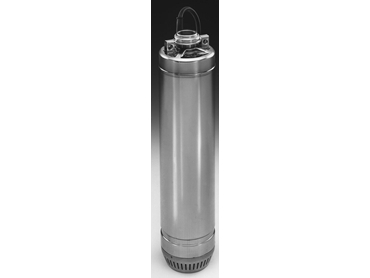 Discharge is provided through an 11/4 inch NPT vertical discharge connection, and the submersible sewage pumps also feature a suction strainer that is easily detachable for cleaning. Capable of processing suspended solids up to 1/8 inches, these pumps can operate continuously in 40ºC heat, and intermittently at temperatures up to 60ºC. Maximum submergence is 20 metres, and the units are powered by a continuous duty rated, non-overloading motor.